Gig Harbor wedding photographer Unique moments Photography is there from start to finish. Getting ready images are important and tell the whole story with your picture process. 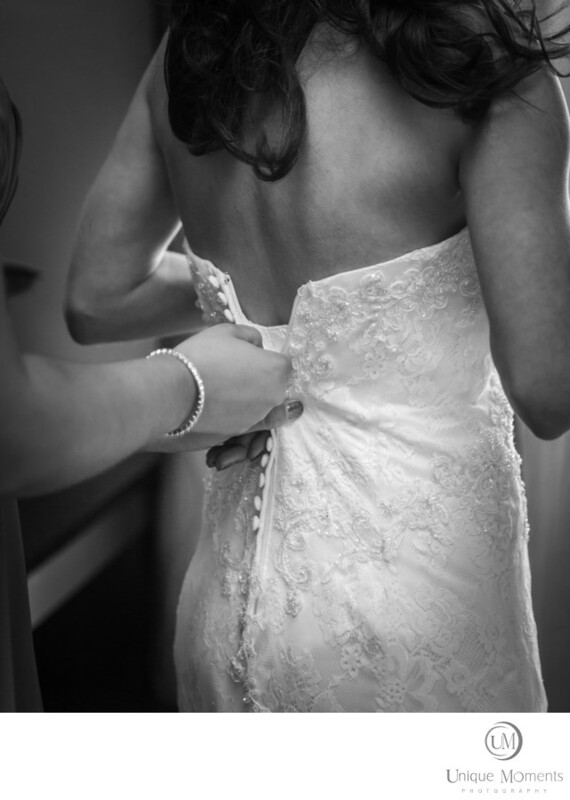 Buttoning the dress and images that occur while the bride is getting dressed are important to capture. This images usually finds it way into the final albums. Our female photographers are in the dressing rooms with the brides so brides can relax and just be themselves for this part of the picture process. Location: 1320 Broadway, Tacoma, WA 98402.